In the context of abnormal network environment, cloud computing needs to rationally schedule resources in order to meet users’ needs. In this paper, an improved trust-driven load balancing scheduling model based on hybrid genetic ant colony is proposed to optimize resources allocation. Each subtask is assigned to a virtual resource. After the task is classified, the initial solution of the resource is calculated using genetic theory, and the optimal solution is obtained by using the ant colony theory, and the optimal resource node is acquired. The benefit function is utilized to calculate the trust requirements of the task for resources, and reasonable resources are obtained by mapping according to different trust values. The average trust benefit of the task on the resource pool is calculated, and the task-resource pairs larger than the average benefit are counted and filtered. According to the matching degree of benefit value of the resource and task, the task is scheduled to the resource with the lowest resource load, and the optimization of load balancing scheduling process is implemented. Experimental results show that using the improved model in this paper can achieve the purpose of resource load balancing. X. Liu, “Optimization of Load Balancing Scheduling Model for Cloud Computing Resources in Abnormal Network Environment,” J. Adv. Comput. Intell. Intell. Inform., Vol.23, No.2, pp. 356-361, 2019. S. Dustdar, “Cloud Computing,” Computer, Vol.49, No.2, pp. 12-13, 2016. C. Xu, M. Sheng, V. S. Varma et al., “Wireless Service Provider Selection and Bandwidth Resource Allocation in Multi-Tier HCNs,” IEEE Trans. on Communications, Vol.64, No.12, pp. 5108-5124, 2016. Y. Tang, J.-P. P. Richard, and J. C. Smith, “A class of algorithms for mixed-integer bilevel min–max optimization,” J. of Global Optimization, Vol.66, No.2, pp. 225-262, 2016. G. Yang, W. Tan, H. Jin et al., “Review wearable sensing system for gait recognition,” Cluster Computing, pp. 1-9, 2018. K. Sathish and R. M. Reddy, “Workflow Scheduling in Grid Computing Environment using a Hybrid GAACO Approach,” J. of the Institution of Engineer, Vol.98, No.1, pp. 1-8, 2017. G. Yang, Y. Zhang, J. Yang et al., “Automated classification of brain images using wavelet-energy and biogeography-based optimization,” Multimedia Tools & Applications, Vol.75, No.23, pp. 15601-15617, 2016. 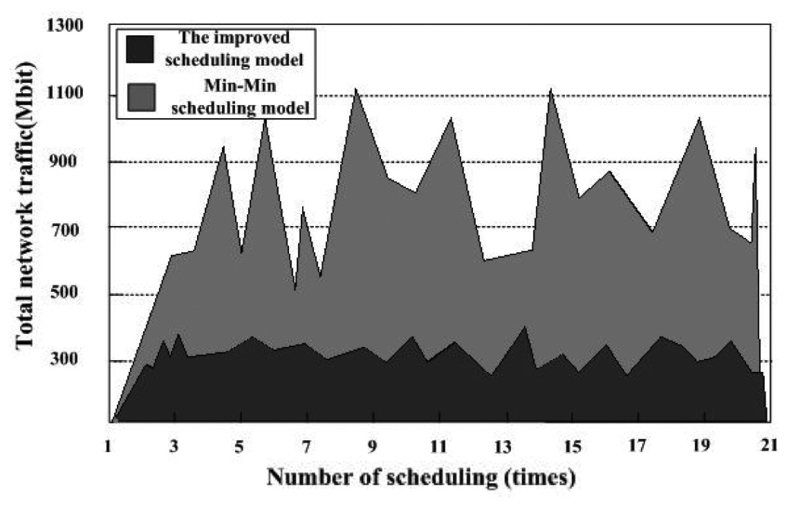 Z. Nie, D. Xiong, and H. Yang, “Study on MRO service scheduling based on hybrid genetic algorithm-ant colony optimization,” Application Research of Computers, Vol.2018, No.35, pp. 438-440, 2018. Y. Wang, “A Modified Gravitation Search Algorithm Based on Mutation Operator,” Value Engineering, Vol.37, No.497, pp. 242-244, 2018.